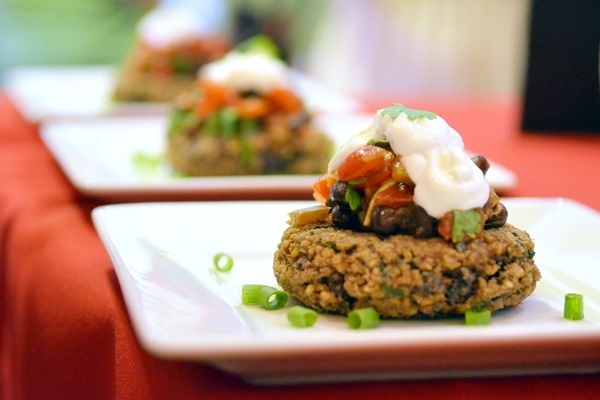 The 4th Annual Spar for the Spurtle Recipe Contest + Giveaway! 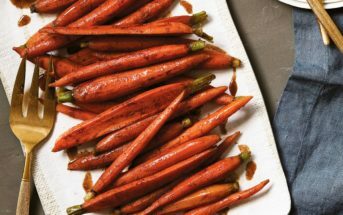 You are at:Home»News»In The News»The 4th Annual Spar for the Spurtle Recipe Contest + Giveaway! 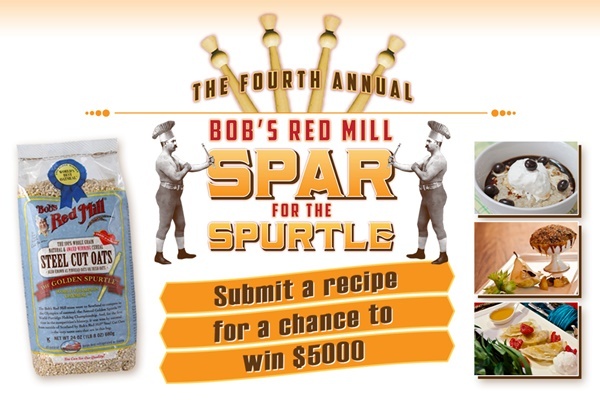 It is time for the BIG Spar for the Spurtle recipe contest hosted by Bob’s Red Mill with cash prizes of $1000, $2500 and $5000!! To celebrate the launch, we’re also giving away steel cut oats (your choice of organic, quick-cooking or certified gluten-free) and a beautiful myrtlewood spurtle to three of you! 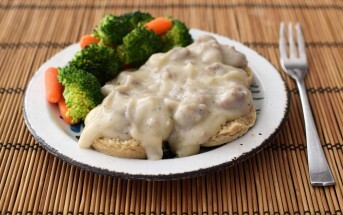 Read on for details on both the recipe contest and the giveaway. 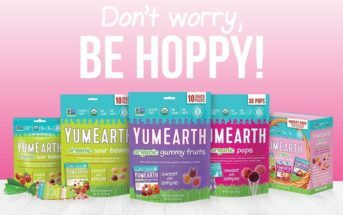 Bob’s Red Mill Giveaway Time: 3 Winners! 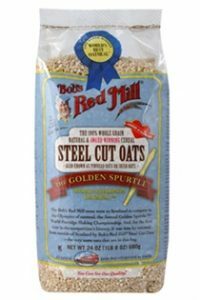 To suit up for the sparring, three of you will receive a package of Bob’s Red Mill Steel Cut Oats (your choice of Regular, Quick Cooking, Organic, Organic Quick Cooking, or new Certified Gluten Free) plus a Myrtle Wood Spurtle! A spurtle is a traditional Scottish cooking implement used to stir oats as they cook and slowly soften in the pot. 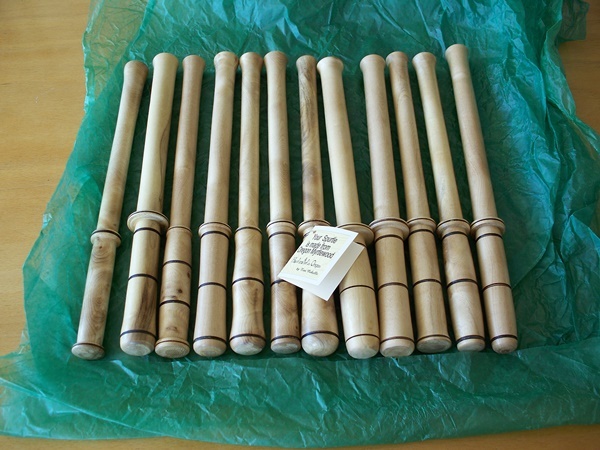 Each Myrtle Wood Spurtle from Bob’s Red Mill (pictured below) is handcrafted in Oregon with its own unique shape. It is said that stirring your morning porridge clockwise with a spurtle as it cooks will bring good luck! To enter this giveaway, use the entry form below. There are four ways to enter! I love making oatmeal cookies. I love to mix rolled oat with banana and then turn them to healthy baked oatmeal cookies! I like to make my own granola with Gluten Free Oats, dried fruit and nuts. What fun! I love Bob’s Red Mill products, and we love oatmeal here – all the girls enjoy it. I’d say that’s probably our fave way to eat oats, though I use rolled oats and oat flour in my baking all the time! I love experimenting with overnight oatmeal. My favorite so far has cinnamon and raisins in it. Oatmeal is so versatile. I love it best with butter, brown sugar, soy milk, peaches and toasted pecans. YUM! I love oats with chocolate peanut butter and honey. I love my morning oatmeal with chia seeds, dates, allspice, and sliced almonds. I love my oats super hot with pumpkin stirred in! I like them hot for breakfast. I enjoy making cherry crisp with oats. 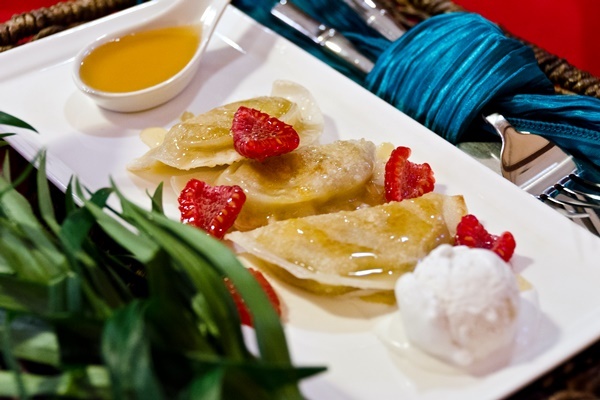 It’s our current addictive dessert. I love to make granola , lots of different ways. I eat Bob’s oatmeal every morning! I love steel cut oats with brown sugar and dairy-free margarine!